This window allows you configure SQLyog about how to handle situations when an error occurs. 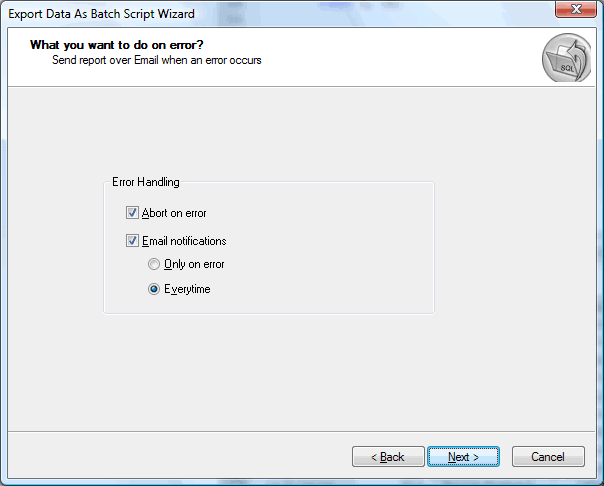 Abort on error: If you select this option then SQLyog will stop the export process as soon as it faces an error. Email notifications: SQLyog's Scheduled Backup has an option where it can send you report of the export process over mail. You can configure SQLyog to send you the report only if an error occurs or every time the process executes. To setup SQLyog to send notifications over email, just select the option Email Notifications and press Next. 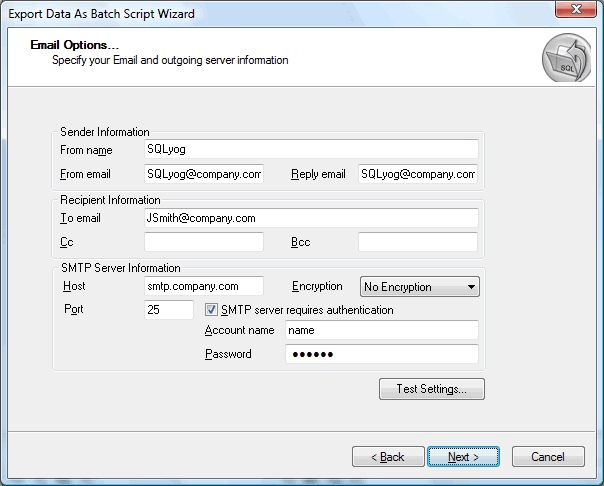 In the next window as shown below, provide your SMTP server details to send you email. More information about how to provide your SMTP server details can be found here.